Meghan Hall, Realtor at Keller Williams Realty Emerald Coast & founder of The Meghan Hall team. Meghan's Real Estate career began in 2000 when she joined her mother at The Darlene Hall Team in Akron, OH. With a proven track record for success, the Hall team has been recognized as one of the Top 1% of Realtors in the country. Having set an all-time record not only locally, but in the entire region for homes sold since 2003. In the summer of 2007, Meghan chose to branch out & bring her knowledge & experience of the industry to the beautiful beaches of Florida. With dedication & commitment, Meghan was recognized as the Number 3 Realtor for Coldwell Banker United, Realtors in the state of Florida, a member of the Top 50 Agents in the Nation, & the Number 1 Agent according to the Bay County Board of Realtors. Meghan knows that each transaction is important, whether you're a first time home buyer or a seasoned investor. Her goal is to provide her clients with an exceptional buying/selling experience. She would love to work with you & help you find the perfect property to fit your needs! Originally from Akron, OH, I relocated to Panama City Beach, FL in the summer of 2007. I accepted the challenge of moving to a new state with a market that is substantially different from Ohio. It didn't take me long to see why the Emerald Coast is the sought after vacation locale! With the beautiful beaches & friendly people, Florida quickly became my homes! Within a few years of moving to the area, I met my husband, Mimmo. Ironically, we both moved to Florida in 2007, Mimmo from Italy & me from Ohio. We were introduced in the fall of 2010 and married in August 2011. he is my best friend & makes me happy to be his wife! When I'm not at work, you would most likely find me in our restaurant in Destin. We opened Mimmo's Ristorante Italiano in the summer of 2013 & it has been very much a labor of love. Mimmo is a renowned chef & has a true passion for providing authentic Italian cuisine. I am so proud of him for achieving his dream & thankful that I'm here to witness his accomplishments first hand! 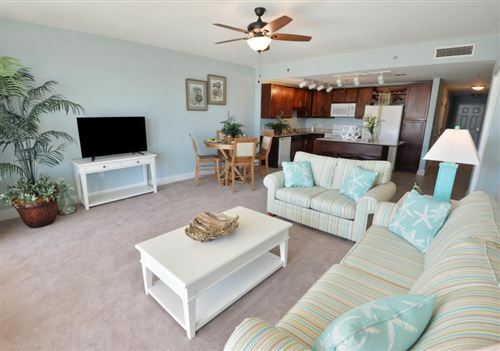 Emerald Coast listings last updated Apr 23, 2019 6:36:am.